This photo provided by McDonald's shows the company's McDelivery Collection, a new clothing line that includes an adult-size Big Mac onesie. McDonald's describes the McDelivery Collection as "a selection of fun, fashion forward items you can wear or use whenever and wherever you order." It also includes french fry-themed sweatsuits and sandals, hamburger pillowcases and a picnic blanket dotted with McDonald's items. 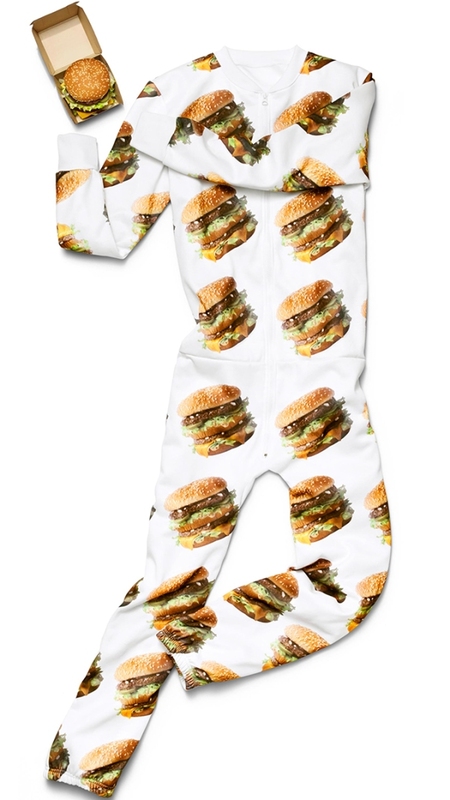 With McDonald's now offering a delivery service, the fast-food giant is looking to make customers comfortable eating at home with a new clothing line that includes an adult-size Big Mac onesie. Oak Brook, Illinois-based McDonald's describes the McDelivery Collection as "a selection of fun, fashion forward items you can wear or use whenever and wherever you order." It also includes french fry-themed sweatsuits and sandals, hamburger pillowcases and a picnic blanket dotted with McDonald's items. Customers can get the items for free, while they last, by ordering meals from McDonald's restaurants in select cities through the UberEats app on July 26. 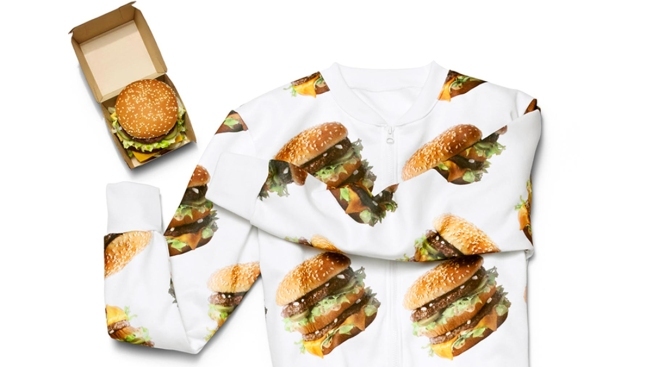 McDonald's joins KFC, which recently released its own fast-food apparel. KFC's chicken-themed line consists of socks, shirts and accessories, including a "finger-lickin' good" necklace.